Former Roosevelt administration official Henry F. Pringle (1897-1958) was active in the Bergson Group’s campaigns challenging U.S. policy on Jewish refugees. 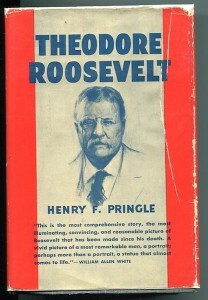 A newspaper reporter who later become a professor at the Columbia University School of Journalism, Pringle won a Pulitzer Prize for his 1931 biography of Theodore Roosevelt. He served as chief of the publications division of the Office of War Information in 1942-1943. Soon afterwards, however, Pringle experienced a change of heart and, after leaving his position at OWI, became involved with the Bergson Group. In October 1943, Pringle accompanied Bergson to a meeting with Assistant Secretary of State Breckinridge Long, at which Bergson proposed sending Pringle to Turkey as a U.S. emissary to facilitate the rescue of Jewish refugees. Long rejected the suggestion. 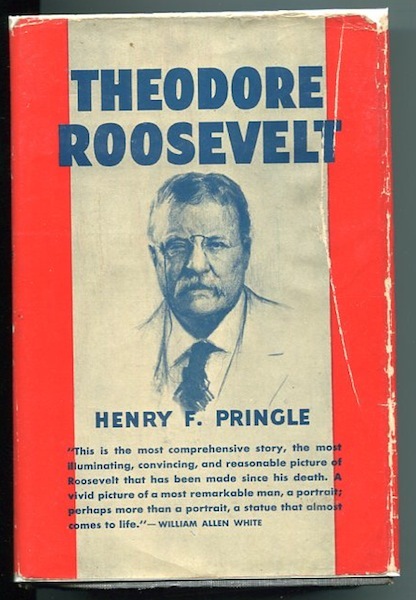 Pringle subsequently became a member of the executive committee of the Washington, D.C. chapter of Bergson’s Emergency Committee to Save the Jewish People of Europe, and then one of the group’s national vice chairmen. At the second Emergency Conference to Save the Jewish People of Europe, in August 1944, Pringle chaired a panel on how to influence public opinion regarding the rescue issue. Wyman, The Abandonment of the Jews, p.90.